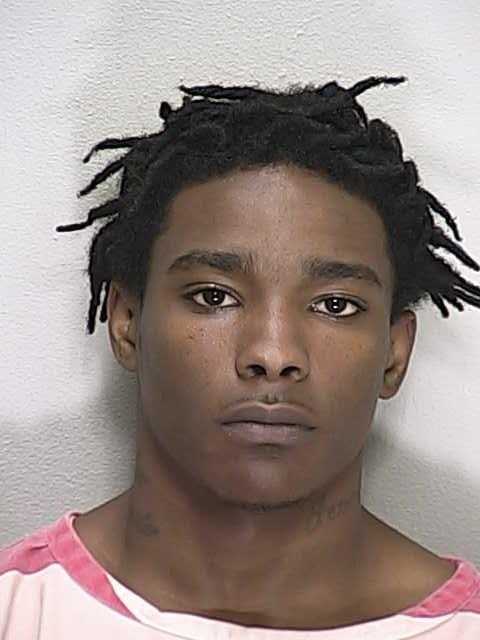 Ocala, Florida — On May 16, 2014, Deputy Harper responded to the 17700 block of SW 43rd Place, Ocala, in response to a home invasion robbery involving a firearm. Deputies determined that two black males, both wielding firearms, had unlawfully entered the residence. The suspects were both wearing shirts that were concealing their faces, watch caps, and hoodies with gloves and long sleeved jackets. One of the suspects stayed in the living room area with the homeowners and their two children, ages two (2) and nine (9). The second suspect, later identified as Tevin Branton, 22, entered one of the bedrooms and confronted a fourth victim. Branton pointed his gun at the victim and told him to, “Get up and lay down in the living room.” The victim stated that Branton also kept loudly asking, “Where’s the money?” As they were exiting the bedroom, Branton slammed the victim in the head with a silver colored revolver. As Branton and the other suspect held all of the victims at gun point in the living room, Branton began pointing his revolver at each victim as he pulled the trigger. According to reports, the revolver was either not loaded or it misfired. Branton and the other suspect then confronted the homeowner and demanded money, to which the homeowner replied, “I only have $16.” The homeowner threw the money on the floor, at which time the other suspect demanded the homeowner take off his shorts. As he was taking his shorts off, the other suspect shot him in the leg. Branton and the other suspect then fled the scene in a green VW Jetta. The victim that was struck in the head with the revolver received nine (9) stitches to close the wound. The other victim was treated for a GSW to his leg. During an interview, the gunshot victim told the deputy that he knew one of the suspects. He identified him as Branton. The victim stated that he recognized his eyes, as well as his very distinctive walk. The victim elaborated by stating that Branton is “duck” footed and walks funny. During the robbery, Branton’s face cover came down allowing one of the other victims to identify him. On Monday, May 19, 2014, Tevin Branton was arrested and transported to the Marion County Jail. He is charged with Robbery Home Invasion with a Firearm and Possession of a Weapon by a convicted Felon. Branton has been in and out of jail since the age of 18. He has previously been arrested for Possession of Cocaine, Criminal Mischief, Possession of Marijuana, Resisting Arrest and Violation of Probation. The second suspect is still on the run. He is considered armed and dangerous. The Marion County Sheriff’s Office is asking for the public’s help. Anyone with information about the case can contact the Sheriff’s Office at 352-732-9111 or Crime Stoppers at 352-368-STOP, text a tip to 274637 using keyword 368-STOP, or submit a tip at www.ocalacrimestoppers.com. Anonymity is guaranteed. A cash reward may also be available for any tip that leads to an arrest. It should also be known that Branton was ROR (released on own recognizance) just a few hours after being arrested and booked into the Marion County Jail.